As the Floyd County Commission prepares tougher regulations on free-standing donation boxes, some residents are surprised to discover many of them belong to commercial operations. Gibson is in charge of code enforcement, including the dumping that often occurs around the unattended boxes placed in parking lots of convenience stores, groceries and other businesses. USAgain, a textile re-seller based in Chicago, lists 15 on its website, including two in Cave Spring. 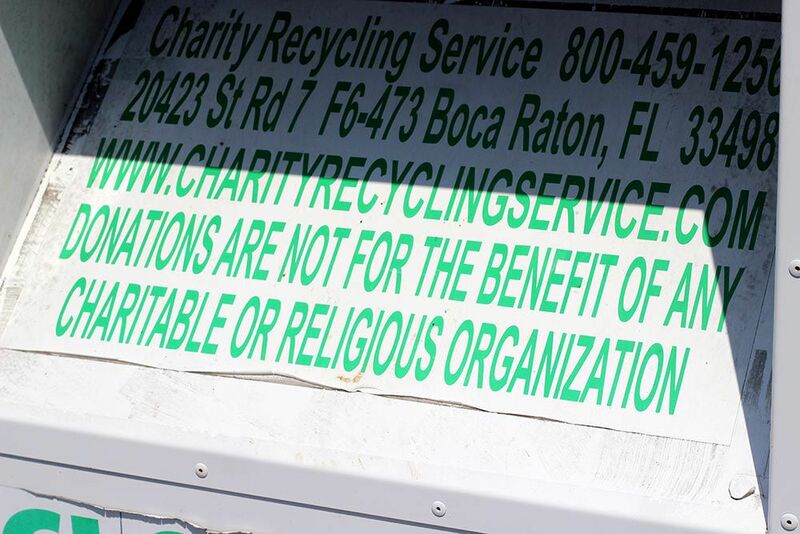 Charity Recycling Service out of Boca Raton, Florida — which is not a registered charity — also counts Rome among its locations in 17 states. State Rep. Katie Dempsey, R-Rome, said there appear to be fewer collection boxes than there were during the recession, but it’s important for donors to know where their items are going. In one of her first legislative actions she fought for, and passed, is a state law that requires the information to be posted. Under the law, which went into effect July 1, 2010, all collection boxes must bear a sign with letters at least two inches tall that state the name, address, phone number and website of the responsible entity. Those in for-profit businesses must also include a statement that donations are not for the benefit of any charitable or religious organization. Dempsey said many local nonprofits such as Goodwill, The Salvation Army and Hospitality House for Women take contributions at their thrift stores now, so support isn’t being diverted as much. But the notices, she said, educate donors. “It was very important then, and it still is today,” she said. 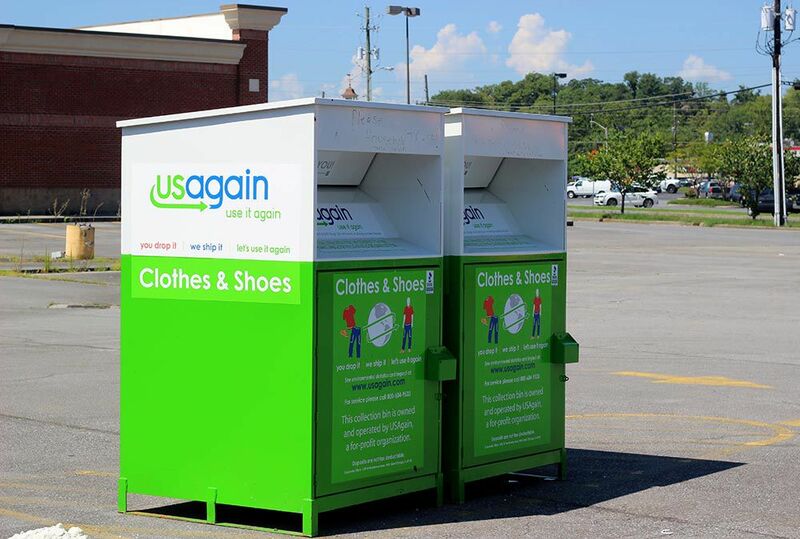 USAgain and Charity Recycling Service both bill themselves as “green” businesses concerned with sustainability. Their websites also claim they supply stores in the U.S. and Third World countries with low-cost merchandise some people can’t afford at the retail price. Both also offer fundraising programs for schools and nonprofits, paying them per pound for items collected in a clothes drive or in a box placed on the property. Business also can get a cut if they allow the boxes. Rome City Commissioner Bill Irmscher said his business has one, but if the company doesn’t come to collect and the box overflows, he throws the items in the garbage. “You keep your area clean, others don’t,” Gibson noted. County Manager Jamie McCord is set to present the Commission Tuesday with a draft ordinance that will crack down on trash left around the sites. The board is expected to make the property owners liable under nuisance laws for dumping. County Commissioners caucus at 4 p.m. and start their regular meeting at 6 p.m. in the County Administration Building, 12 E. Fourth Ave. Both sessions are public.